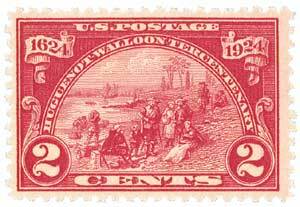 The Walloons settled along the Hudson River, and U.S. #615 shows the landing at Fort Orange (Albany). 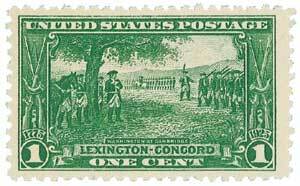 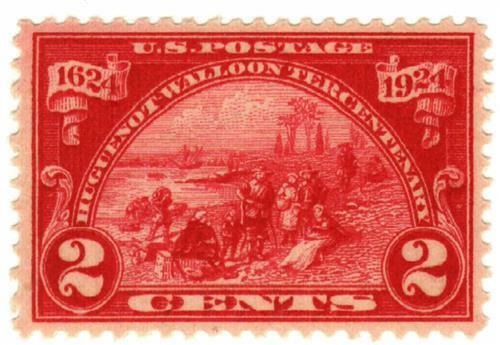 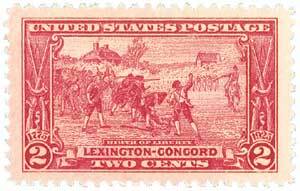 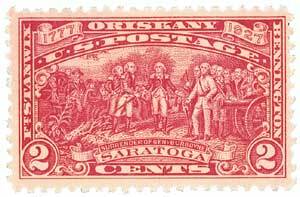 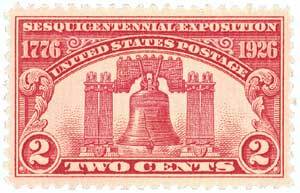 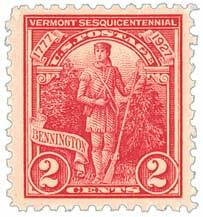 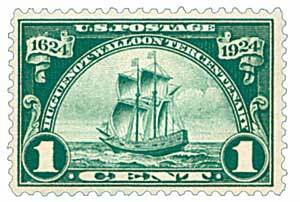 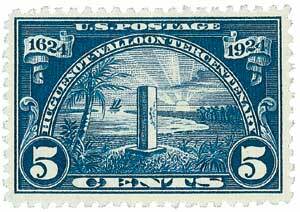 The stamp marks the 300th anniversary of Walloon immigration, but also salutes the Huguenots who followed the Walloons in settling New England. 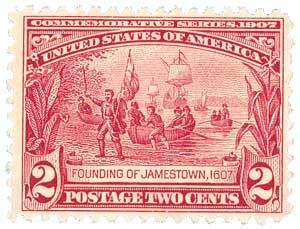 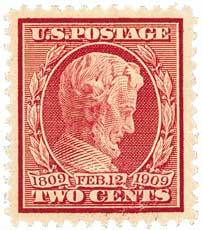 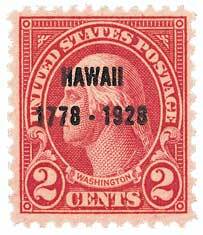 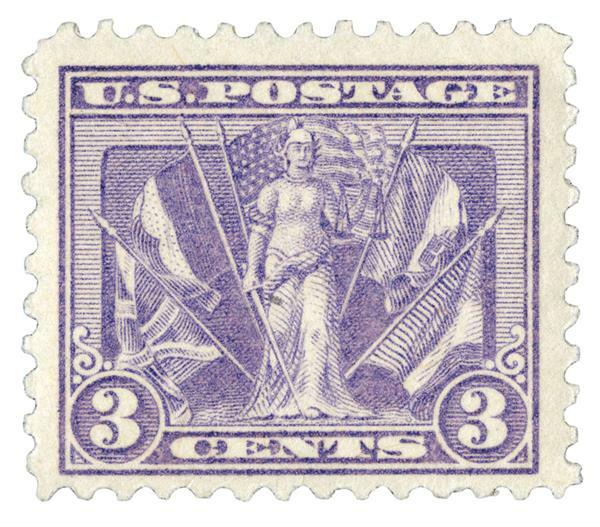 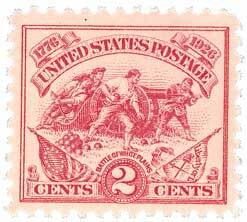 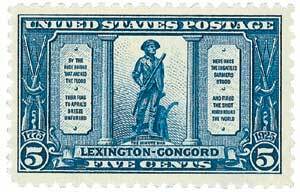 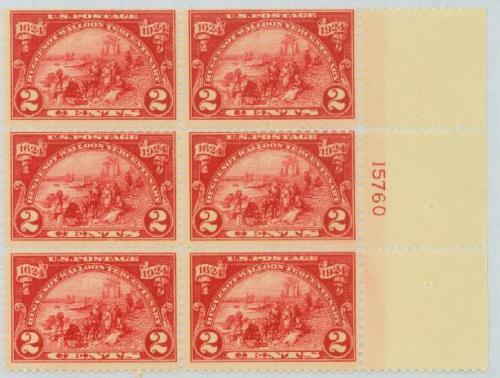 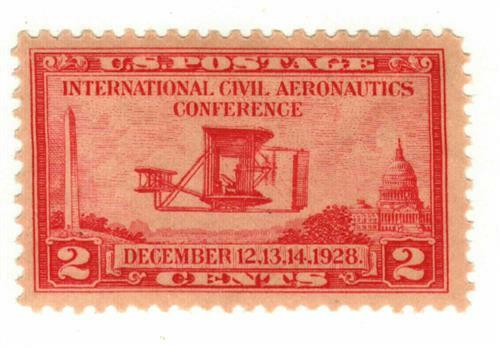 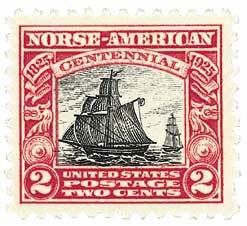 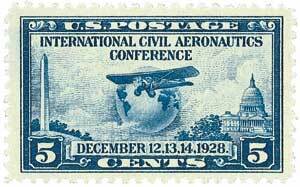 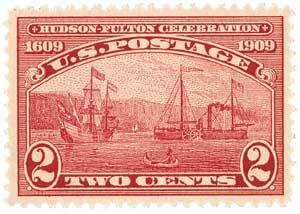 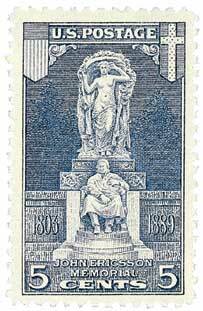 This series of stamps commemorates the role of Protestant immigrants in settling America in honor of the 300th anniversary of the first successful colony. 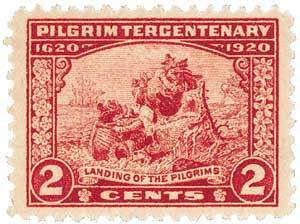 The Huguenots were French Protestants who, in the 16th century, established the first Presbyterian Church in France. 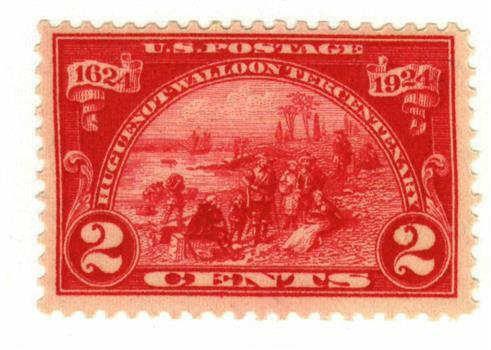 After having their rights stripped by French King Louis XIV and Cardinal Richilieu, the Huguenots fled to other countries – and eventually, America. 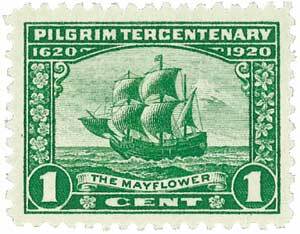 The first settlements were as early as 1562 and 1564, but they soon failed. 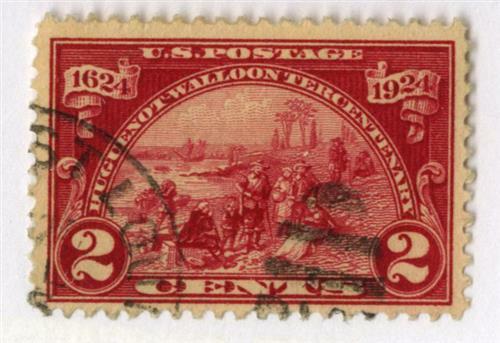 The Walloons were Dutch Protestants who suffered similar oppression. A 1624 expedition funded by the Dutch West India Company was much more successful, establishing a settlement at Fort Orange (now present-day Albany, New York).